Chiropractic (Greek: “Done by hand”) is a health care profession concerned with the diagnosis, treatment and prevention of disorders of the neuromusculoskeletal (nerves, muscles, bones) system and the effects of these disorders on the general health. Chiropractic practice focuses on the conservative management of conditions as well as placing an emphasis on nutrition, exercise, wellness and healthy lifestyle modifications. 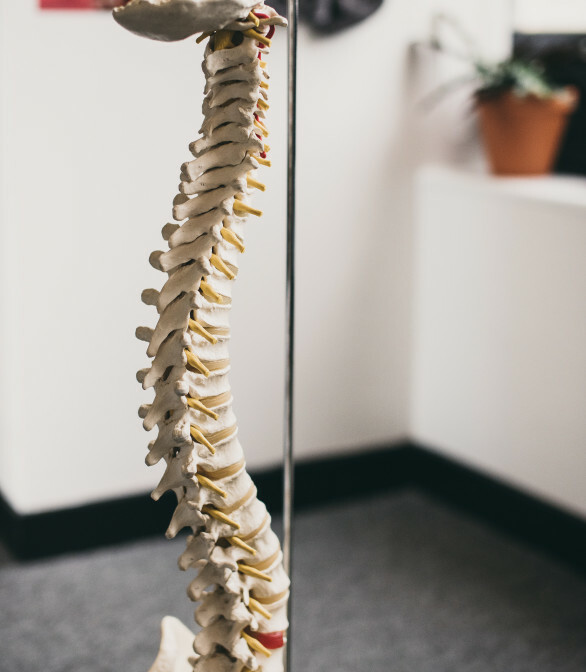 Focusing on the relationship between the structure of your body – particularly the spine and pelvis – and the bodily functions coordinated by your nervous system, a chiropractor works to alleviate symptoms and correct misalignments, restoring health without need for medicine or surgery. This makes chiropractic a safe alternative that is suitable for most people, including pregnant women, the elderly, and paediatric cases. 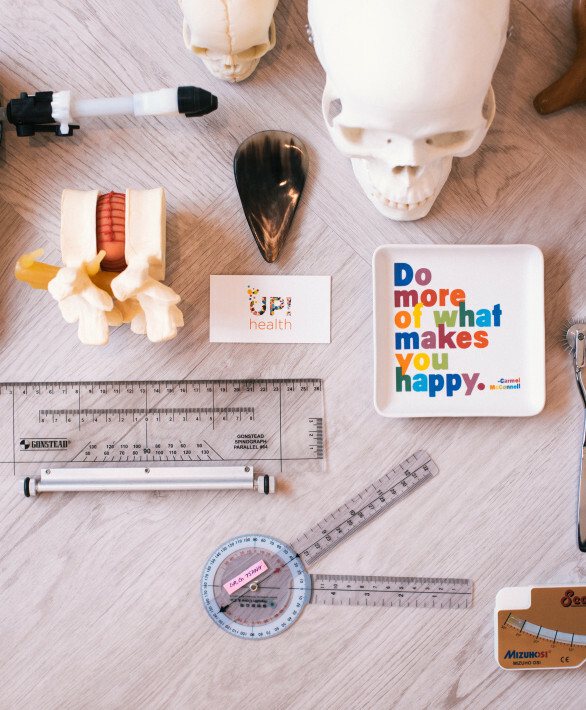 Here at UP!health, we don’t believe in one-size-fits-all healthcare. All of our patients have their own unique concerns, which is why our initial consultation consists of an in-depth discussion with one of our chiropractors. We aim to gain an overall understanding of your medical history, along with any injuries or other stresses on the body in order to plan the best course of treatment for your individual needs. Where necessary, we may advise that x-rays are taken in order to get the clearest possible picture of any underlying issues. Chiropractic adjustments are not typically painful and you’ll have every aspect of your treatment explained to you as we go along. We’ll also ask you for your on-going feedback in order that we can fully understand how you are progressing. We aim to build lasting relationships with all of our patients, and believe that your input is integral to your own successful treatment. The safety of chiropractic is well documented. In adult studies, where spinal manipulation is used, the likelihood of serious adverse reaction is estimated to be as low as one in 5.83 million, which is five times less likely than being struck by lightning, and 250 times safer than taking a course of anti-inflammatories. In children, where much gentler techniques – mostly without the use of manipulation – are used, the risk of chiropractic adjustments is extremely low. As government registered health professionals, your safety and well-being is our number one priority. Haldeman S, et al. Arterial dissection following cervical manipulation: a chiropractic experience. Canadian Medical Association Journal 2001;165(7):905-06. Dabbs, V., & Lauretti, W.J. (1995). A Risk Assessment of Cervical Manipulation vs NSAIDs for the Treatment of Neck Pain. Journal of Manipulative and Physiological Therapeutics, 18(8), 530-536.